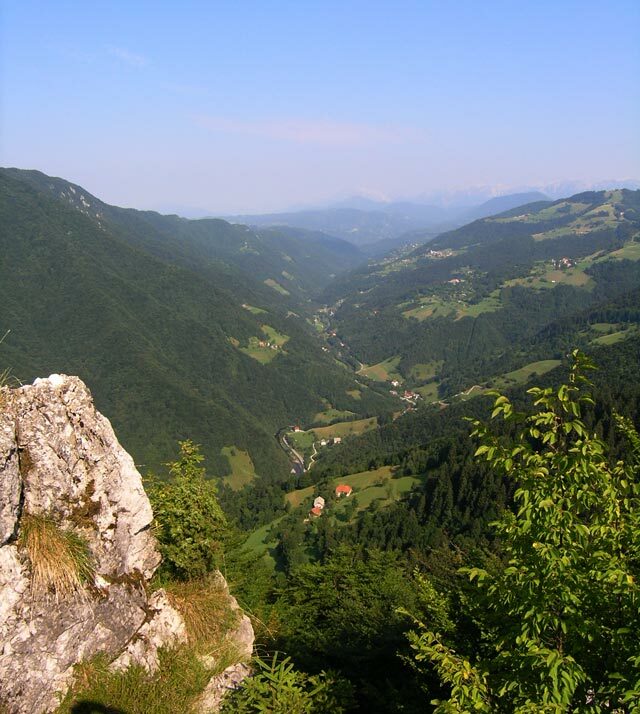 Slovenia is a wonderful country for walking, everyone should go there! We first visited in 2001 and just keep going back for more. This September we spent 12 days hiking in the Julian Alps, walking from hut to hut. The whole trip was fantastic but the highlights were climbing Triglav and staying at Zasavska Koča na Prehodavcih at the head of the Triglav Lakes Valley. We have not been to Ledine, it looks a nice area, but we have been to Idrija, which is not too far away. Slovenia really is a diverse country where everyone can find something to enjoy. You really should try and visit it someday. I really love to hear that! I am pretty sure you met some cool people while hiking in Julian Alps. The area around Idrija isn't really something in the climbing category, but has quite a lot of other stuff to offer. However it's definitely a destination that's a bit off the beaten track (and offers some hidden gems, that can be quite rewarding). How did you find Idrija anyway? How did we find Idrija? I guess we are just curious! We walked to Divje jezero from the town once - not a long walk but nice. Perhaps, next time we will go down the mercury mine. Triglav was amazing! We climbed up from Dom Planika and there was some snow, which made it a bit tricky in places. Getting to the top was a dream fulfilled! I forgot to get a summit stamp (is that what you call them?) but a really nice guy in the hut gave us his and then he gave me his cap! We met loads of great people on our walk and always got a really friendly welcome from the hut wardens. Can't wait to go back again! A true Slovene? Hvala lepa! Yes, Marko is right - there is something for everyone in Slovenia. The walking is superb, not just in the mountains but in the valleys and countryside too. It is so beautiful! In Johannesburg we were also mere minutes away from nature but your photo and description has made me want to visit Slovenia now!